Although not born a Hindu, David Frawley (Vamadeva Shastri) is one of the foremost Hindu scholars of our time. As well as being one of the foremost western teachers of several branches of Hindu wisdom, he is recognised by a number of Hindu spiritual lineages / groups in India as a “Vedacharya” and has authored a number of influential books on various facets of Hinduism, as well as Hindu social and political issues. He is currently director of the American Institute of Vedic Studies. I have been connected with the teachings of many great Hindu teachers. In particular the Vedantic teachings of Ramana Maharshi and his chief disciple Ganapati Muni, but also many others, such as Sri Aurobindo, Swami Dayananda, Swami Yogananda, Anandamayi Maa and Ram Swarup. Have you come across the view “one can only be a Hindu by birth”? What is your response to such people? Yes I have come across this view. There are quite a few Hindus who hold to it. If I’m not mistaken, even Gandhi believed this. On the whole, this point of view is illogical. There is no scriptural basis for it. Hinduism exists over a very vast area – all across the Indian subcontinent and even beyond, in places such as Bali. In the past, Hinduism’s spread was even greater. Obviously, this would never have been possible if being a Hindu was only possible by birth. Furthermore, if Hinduism is truly Sanatana Dharma, the Eternal Truths, then its teachings must apply equally to all people, not just people who happen to be born into it. Some non-Hindus, particularly evangelical Christians, also promote the view that one can only be born a Hindu. They find it a convenient tool to discourage seekers from studying Hinduism, by giving the impression that Hinduism is a closed book that outsiders should not bother attempting to look into. You run an institute promoting various branches of Vedic knowledge. Is there a great interest in these systems? There is of course a lot of interest in yoga as a physical discipline. There is also an interest in the medical systems of Hinduism, as well as meditation. In addition, there are individuals here and there who have a deeper interest. But the deepest layers of the teachings are not always available to them. This is inevitable to some extent; it is the same with all sciences. For example, the deepest knowledge of nuclear physics is not going to be available to a person who merely has a casual interest in the field. Overall, Hindu knowledge is spreading. 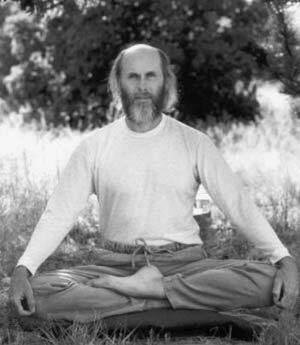 For example nowadays, meditation is quite common, but when in the early 1960s it was introduced to the West by Maharishi Mahesh Yogi nobody knew about it. In nearly every major city in the world there will be some group promoting Hindu based spiritual practice. Many such groups in the West, like the Self-Realisation Fellowship of Paramhansa Yogananda, are doing quite well in terms of growth. Hinduism in its growth tends to project spirituality, rather than politics or identity. So its spread is less noticeable. But the change is certainly there. We can see this by the way that many words from Hinduism are now common part of Western vocabulary. Can a person who is deeply involved in spiritual practice still enjoy most parts of western culture or entertainment, such as the latest movies? Following a spiritual path requires dedication in all aspects of life. You can’t expect to just meditate and then go and live like everybody else is living. It is the same for success in any field in life. For example, a professional athlete cannot follow the same lifestyle as a lay person. There are many aspects of popular culture that are quite vulgar and pointless – even many westerners would agree with that. And these are not conducive to true spirituality. I’m not saying you have to be a fanatic, but you have to recognise that everything you do has it effects. Just like the food we eat affects us, the sensory stimulus that we take in affects our psyche. What are your favourite pass times outside of your work in spirituality? I like spending time in nature, as well as keeping aware of the latest happenings in the world. However I wouldn’t compartmentalise life into spiritual and non-spiritual aspects. This is not a Hindu idea, but reflects the thinking of the West. For example we have Hindu classical music, drama, dance and art. These are both spiritual and recreational. Spirituality is not just about externals such as making outward displays of piety. Can Ayurvedic medicine help in the treatment of major or life threatening illnesses? Yes, Ayurveda does offer treatments for life threatening conditions, particularly chronic illnesses. In its early days, Ayurveda could employ surgery, although this is quite rare nowadays. But the option of surgery does exist within Ayurveda. The thing to bear in mind is that in India, Ayurveda is legally recognised as a system of medicine, whereas in the West it is not. In India, Ayurveda is allowed to attempt therapy for all conditions, whereas in America there are legal holdbacks. Out of the many books you have written, which was the most important to you? That’s a difficult question, having written many books. [After a pause] I particularly liked “Yoga and the Sacred Fire” because it described the universal basis of Hindu dharma, including how it relates to nature. From the stand point of Hindu activism or socio-political commentary, “Arise Arjuna” was quite an important book. What is the greatest challenge facing modern Hinduism? It is to communicate to the world what Hinduism is. This is something that Hindus generally have not succeeded at all in doing. Hinduism itself is not as easy to define as the Abrahamic religions. Hinduism is a deeper pluralistic approach that is more spiritual and more in tune with nature, but is not as easy to define or to communicate. Hinduism is often viewed in the world through negative stereotypes, many of which are a holdover from the colonial era. Even Hindus often see their religion through negative stereotypes. This often stops people who are interested from accessing the true teachings of Hinduism, because it is dismissed in terms of caste and superstitions. Hindus need to be able to challenge these stereotypes, especially in the education system and mass media. Otherwise Hinduism will not be able to give its teachings, because people are put off before they even begin, or are hesitant to identify with it. What would be your advice to individuals who want to arrive at a proper understanding of the Vedas? The overall Hindu teachings are well explained in the Gita, which summarises much of the Vedantic teachings in a practical way. However it is important to point out that a person studying the Gita shouldn’t rely too much on the interpretations of a particular commentator, but rather should look at the Gita independently, with deep contemplation of the meanings. The Vedas themselves are difficult to understand to an untrained reader. They are written in an archaic language, which does not reveal its true meanings straight away. In the English language, I have produced some Vedic translations in my book “Wisdom of the Ancient Seers”. Sri Aurobindo also has some translations, as does his disciple Kapali Shastri. The Arya Samaj probably provides the best complete translation of the Vedas into English. The 19th century translations by colonial European scholars are very poor, and convey a distorted message. How do you relate violence in Hindu stories with the principle of ahimsa (non-violence)? It is not a difficult thing to reconcile. Ahimsa means non-harming, the seeking to reduce the harm done. It is easy simply never to be violent. But sometimes a strong action is required to actively prevent violence. For example if a child is about to be hurt, the situation demands a person to do whatever is required to stop the child from being hurt. It is no good to simply to do nothing and say that this is ahimsa. That is a twisted understanding of ahimsa. The ahimsa of a Kshatriya (warrior) is to be able to wield force and authority to protect society from harm at the hands of tyrants or lawlessness. Even in the Gita and Mahabharata, books set in the midst of war, ahimsa is discussed, in conjunction with the need to use force. This is not contradictory. It should be noted that violence is only a last resort. In Hinduism there is no aggressive holy war. In the Mahabharata we see that Krishna and the Pandavas do everything to try to prevent a war. Peace is shown as desirable. But eventually, after all attempts failed, force was resorted to as a last resort. The kind of Ahimsa that Gandhi projected did not reflect the general Hindu view. However even in his case there was a lot of action to fight injustice. Have you ever got disenchanted or lost faith in the spiritual path? Or with religion in general? A person can get disenchanted with organised religion. But I think true spirituality is very different to this. It is not so much about externals, like trying to get others to conform to a specific belief. It is living in harmony with your true self. It includes things like breathing, and being in nature and simply living. Do you believe in the idea of a clash of civilisations? Civilisations will be clashing in the future, but on the other hand will also be harmonised and find common ground between themselves. In many ways, the clash is happening in the media, through which different civilisations are trying to impose their ideas and values over others. This is especially true for the West. Yet the clash can often take a physical side, with wars being fought. Certain ideas, like the Islamic belief in the division of humanity into believers and unbelievers are naturally going to promote hostility. But overall the idea of a clash of civilisations does not take into account that even within a single civilisation or culture we find different groups having a clash going on between themselves, often more hostile than the clashes between different civilisations.